Provision for teaching pupils about the world faiths is planned for using ‘Come and See’. 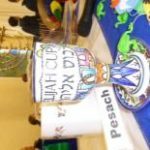 Each year, the children will study Judaism and Islam. The children are also taught about other important world festivals including Diwali, Ramadan, Holi, etc. 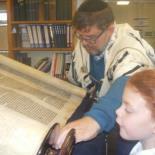 In November, we studied Judaism in R.E. lessons. 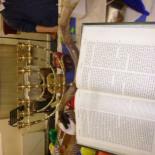 Children in KS2 visited Coulsdon Synagogue to see different signs and symbols associated with Jewish Religion. 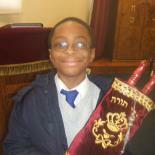 The staff at the synagogue were very helpful, especially the Rabbi who is a Jewish leader and teacher of Judaism. 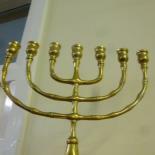 When we went in, the children were told that Jewish people wear a skull cap (a kippah) as a mark of respect. 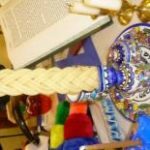 Jewish men wear a special prayer shawl when they pray. They call it a ‘tallit’ and the Rabbi wore one of these. 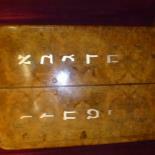 We saw a special cupboard called the Ark and it contains the Torah scrolls which have been written by a scribe in Hebrew. 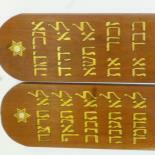 Hebrew writing is read from right to left unlike English which is written and read left to right. The Torah Scroll in the synagogue is 180 years old. Jewish people who read the Torah do not touch the script with their fingers. They use a pointer known as a ‘yad’. When they pray, Jewish people face in a particular direction, the direction of Jerusalem in Israel which is a place that all Jewish people would like to visit during their life. The children also sampled some traditional Jewish food including unleavened bread, apple and honey and doughnuts. We are enormously grateful to Rabbi Boaz Sabey for allowing us to visit his synagogue.